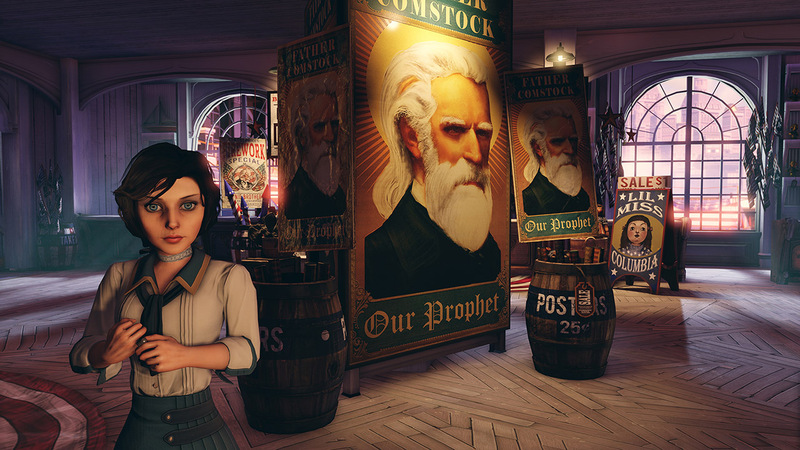 2K is reportedly working on a brand new BioShock entry. Hangar 13 is a division of 2K games responsible for developing Mafia 3. While the game received mixed critical reviews, the game failed to ignite sales. And a new report suggests that while Hangar 13 is figuring out its next move, a secret project was brewing next door: A new BioShock game. The report comes from Kotaku, which reports that right next door to the struggling Mafia 3 developers a secret 2K team is working on a project referred to as "Parkside," which developers say is a new BioShock game. "Next door, a small group of people were working on a project code-named Parkside, quietly recruiting from across the video game industry for a game so secret," writes Kotaku. The project was so secret that, "They wouldn't even tell their colleagues at Hangar 13 about it. Word got out, though, that it was in fact a new game in one of the most interesting shooter franchises of the past decade: BioShock." While the full report details the struggles of Hangar 13, one of the sticking points was a tension within the studio that built up when only some Hangar 13 developers were asked to join code-name Parkside. One source says that, "The issue is that Parkside's not ready for lots of people." They also add that "They're trying to be really smart about figuring out what the core thing is. They're careful about not falling into the same problem every studio has, where they have too many people and nothing for them to do." The full report is very much worth a read and details what's happened to Hangar 13 since the news of layoffs from the studio earlier this year. One source called the number of layoffs "significant" and key team members either resigned or left. Others were offered other 2K jobs either at 2K Czech or an unannounced 2K studio in Brighton, UK. However, what we seem to know now is that 2K is finally moving on the BioShock IP after the departure of series creator Ken Levine. The last we saw of BioShock was the recently released BioShock Remastered collection, which upgraded all three BioShock games visually for current consoles. The report seems to suggest that the Parkside BioShock game is still in development, and it's unclear when we might see it. Though we will update you with details when we have them. Tagged with 2K Games,	Bioshock,	Bioshock: The Collection,	Hangar 13,	News.